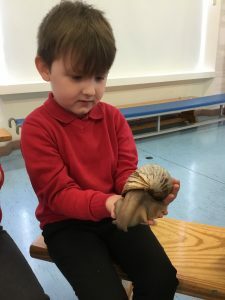 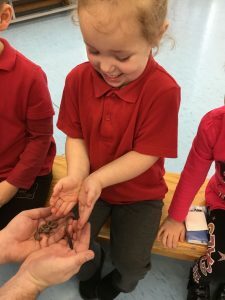 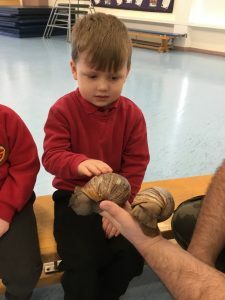 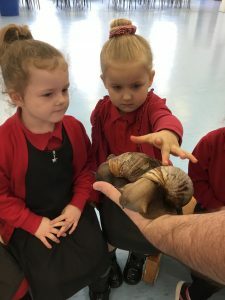 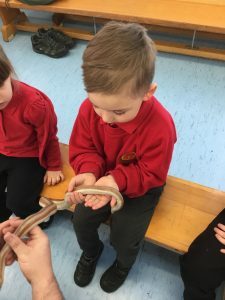 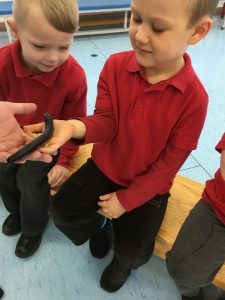 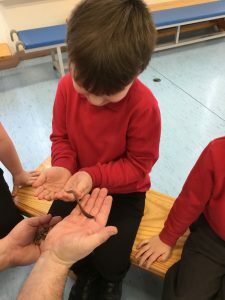 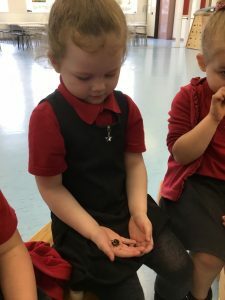 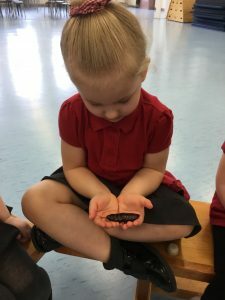 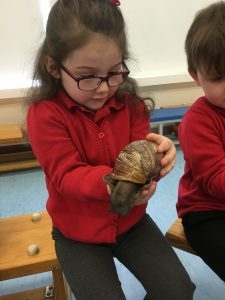 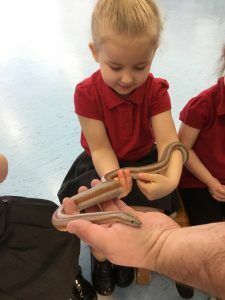 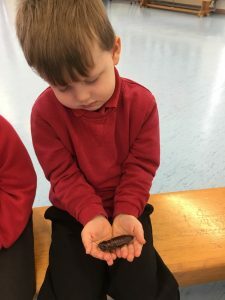 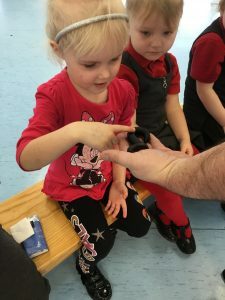 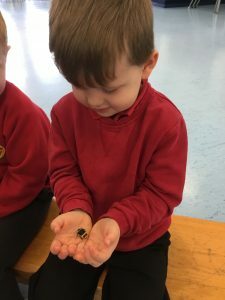 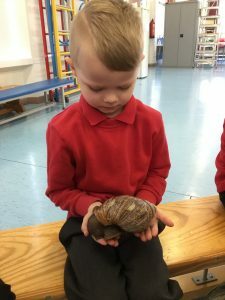 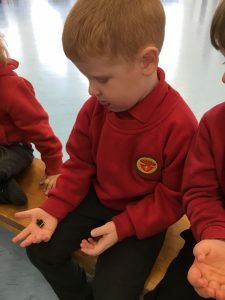 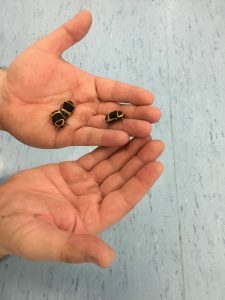 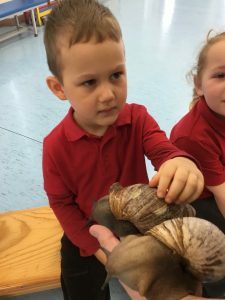 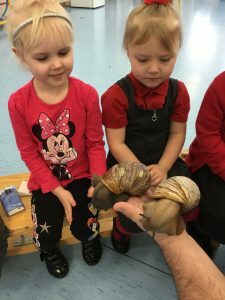 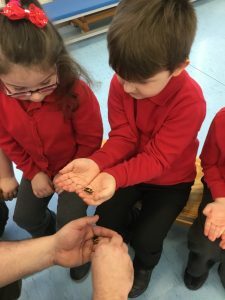 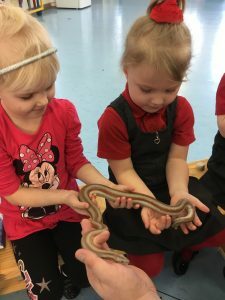 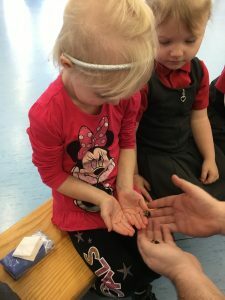 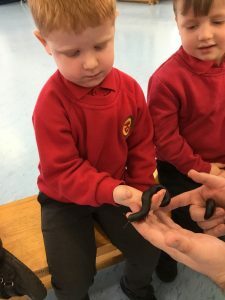 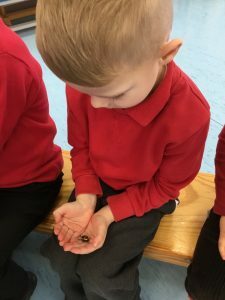 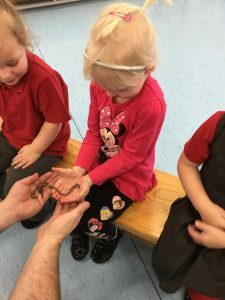 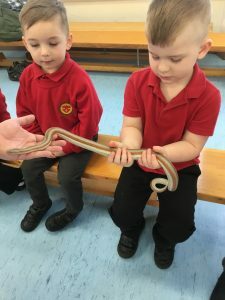 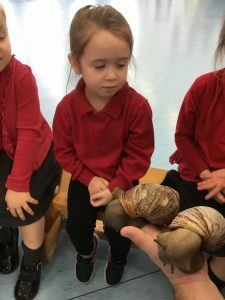 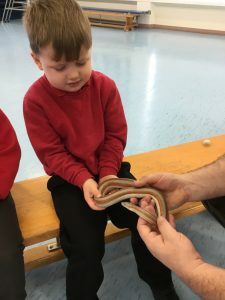 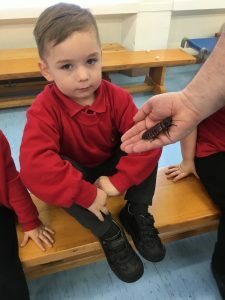 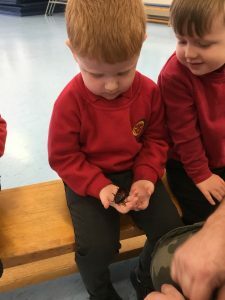 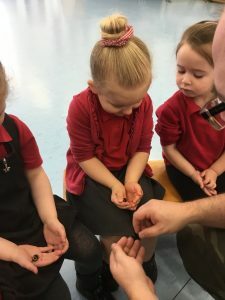 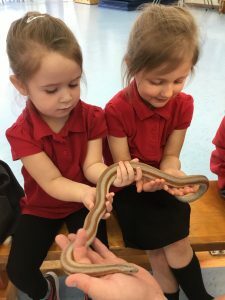 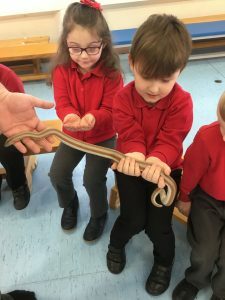 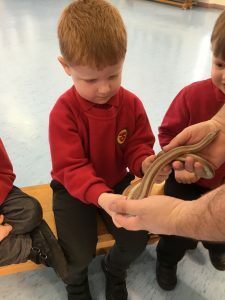 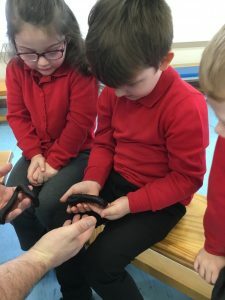 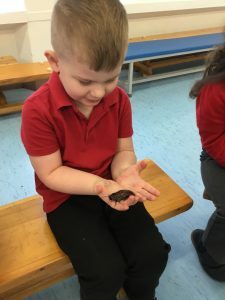 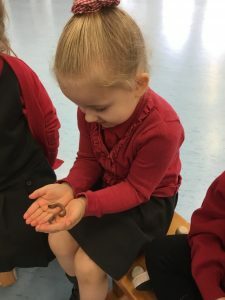 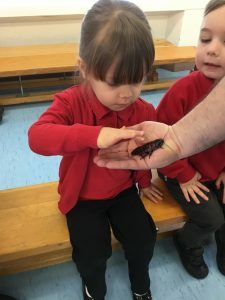 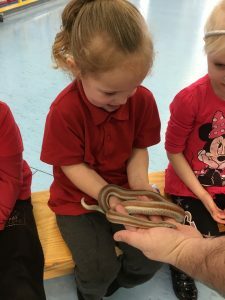 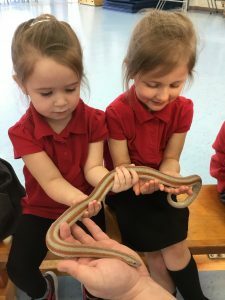 Nursery had a very exciting morning as Martyn from Animal Stories brought lots of mini beasts into school for us to see. 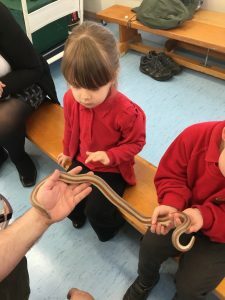 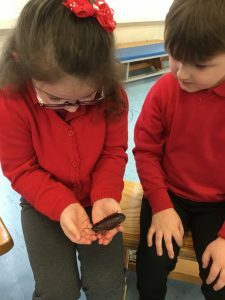 We were allowed to look at, touch and hold the different animals. 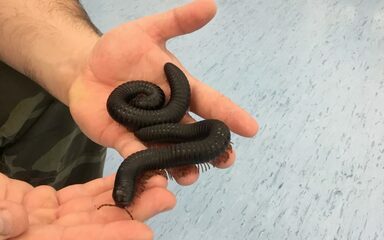 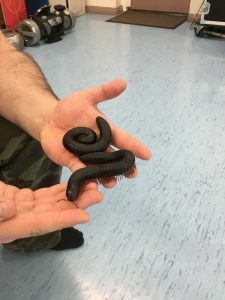 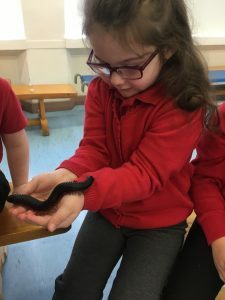 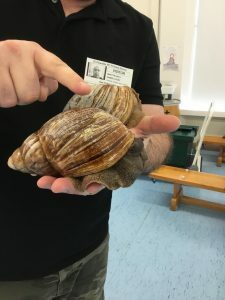 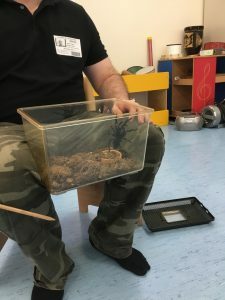 He brought worms, giant snails, hissing cockroaches, a tarantula, a scorpion, millipedes, beetles and even a snake (which isn’t a mini beast but we were allowed to hold her anyway!) 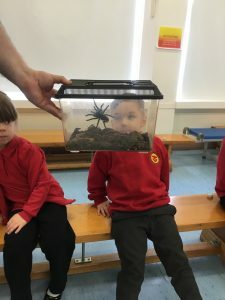 Some people were a little bit scared of the mini beasts (especially the tarantula) but lots of us were very brave and held them. 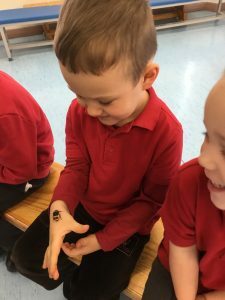 We found out that insects have six legs and that mini beasts have no bones!